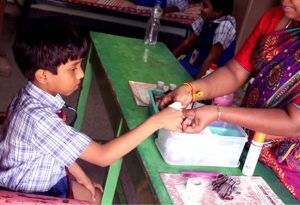 Annual medical check-ups (inclusive of Vision, Dental, Obesity and physical examination) are held at the school premises. The medical check-up is followed by a descriptive report for individual students so that follow-up by the parents is an easy task. This also ensures that parents and teachers have a better understanding of the health of the child. Health cards are maintained year after year to check the &nbsp;progress of every child. In house first-aid training/workshops are held &nbsp;regularly for teachers and students so that they are better equipped to attend to emergencies. The annual health check up is conducted by a team of qualified doctors from Apollo Hospitals.A team of doctors from “”M.V Hospital for Diabetes (P) LTD.” conducts tests for our students regularly. A blood donation camp is organised on the Annual Alumni Meet during the last week of June every year. This is organised and conducted by VHO, Tharamani. Alumni members and the current students participate actively in this event. 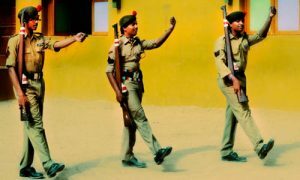 The N.C.C (National Cadet Corps) program was started in the year ’93-’94 and the school belongs to 1TN BN NCC Unit of Tamil Nadu. The cadets are given training in various categories of map reading, civil defence, drill, social service and weapon practice. &nbsp;The boys and girls have been attending various camps and have been regular participants at the Republic Day Parade at New Delhi. &nbsp;Our Cadets have also won various awards at different categories for the same. 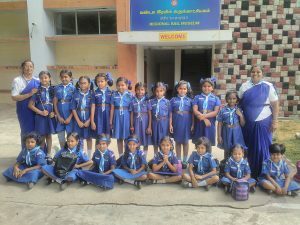 The Cubs and Bulbuls unit started in the year 2005 and they have been taking active part in a wide range of activities. The Scouts and Guides unit carries forward the training given as Cubs and Bulbuls. This is yet another arena to encourage the children to take part in social service activities and there by give a boost to their self-confidence. Our Guides wing has many students who have won the Rajya Puraskar award from the Government of India. The Award Programme was first introduced in the United Kingdom in 1956 as the Duke of Edinburgh’s Award. The aim was to motivate young people aged between 14 and 25 years to become involved in a balanced programme of voluntary self-development activities to take them through the potentially difficult period between adolescence and adulthood. The Award’s concept is one of individual challenge, giving young people a balanced, non-competitive programme of voluntary activities which encourage personal discovery and growth, self-reliance, perseverance, responsibility to themselves and service to their community. Chettinad Vidyashram adopted this programme for the High School students to further their leadership skills and instill in them a sense of self-reliance and confidence.